General Motors’ Cadillac brand will be the featured marque at the 15th Annual La Jolla Concours d’Elegance next spring, the organizers of the annual vintage car show have announced. The featured marque at this past year’s edition of the California concours show was Cadillac’s crosstown rival, Lincoln. It made sense to feature Cadillac in 2019, then, which like Lincoln has a illustrious and interesting history that plays a large part in American automotive folklore as a whole. 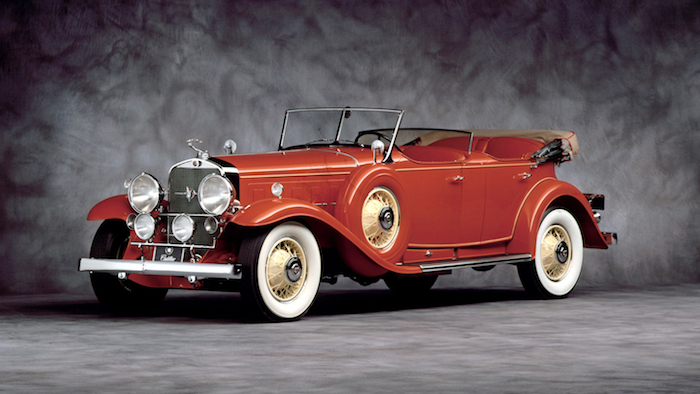 The La Jolla Organizers promise an abundance of 1931-1937 era V16 Cadillacs will be in attendance at the show. One of the Cadillac collectors that will participate in the show, Aaron Weiss, describes the V16 Caddies as a “pain,” to own, but his passion for them outweighs any reliability woes. Organizers for the La Jolla Concours are estimating about 130 cars to be in attendance. The show will also celebrate Bentley’s 100th anniversary and the 50th anniversary of the Mustang Mach 1, so you can expect an abundance of Bentleys and Mustangs to be in attendance, too. The Concours will kick off on April 12th and will include three days of automotive themed festivities before it all wraps up on the 14th. The first night will include a Concours Social Club event, followed by the ‘Tour d-Elegance’ on Saturday the 13th and the actual Concours itself on Sunday the 14th. Stay tuned to GM Authority for more Cadillac news and updates on the 15th La Jolla Concours d’Elegance before it kicks off in April 2019. Too bad that America’s oldest existing brand is only a skeleton of its former self and appears to be on the brink of extension. The brand deserves better than this. I guess that’s what happens whe you are owned by a Company that’s more obsessed with makeing great profits to please its stock holders than makeing great Cars to please its Customers. My question is how do you expect to keep makeing those profits when you refuse to make you cars great enough enough to to create those profits? No that’s what happens when accountants stock holders instead of car people call the shots. Time for GM to take it back. Restore Pontiac and Olds whie their at it and send zBuick down the road. Buick is the original parent company of General Motors. Sending the brand “down the road” would be as bad as sending Chevrolet down the road… or Pontiac. Or Oldsmobile. Cadillac is gone already. GM is back on the Cimaron model for The Standard of the World. They sent the person they hired to revive the marque down the road already. Sad times. Cimarron was a dressed up Chevy. Stop with the lipstick. You still have a chance to save the Brand. Bring the Oldsmobile back and put some SPORT in your line up. Both Olds and Pontiac out sold and outperformed Buick. Your present offering competes with itself.